Combining stunning views, fabulous ceremonial and reception spaces and award winning accommodation, Lanzerac Country Estate offers 'exclusive use' of the 5 acre property for a truly intimate and unique celebration. 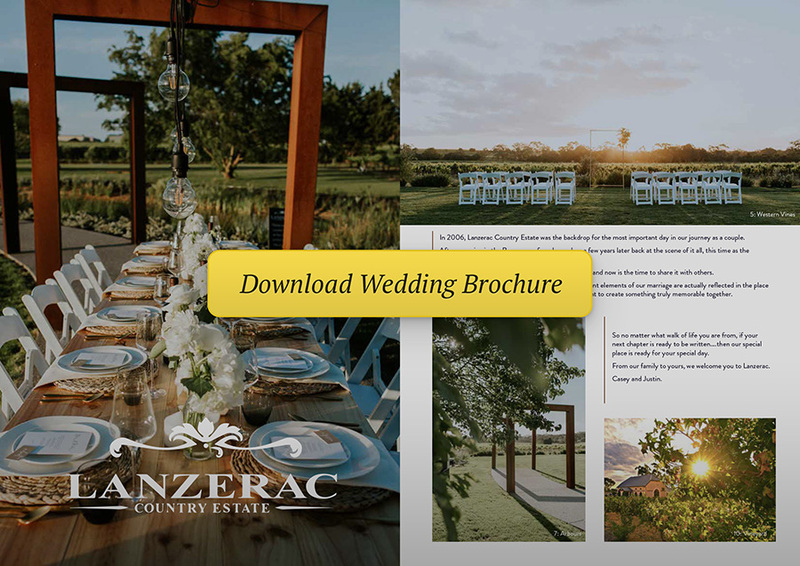 Click here to take a look at the property in further detail or please download our brochure or complete the contact form below and you will be contacted by our dedicated Events Coordinator. If you have an urgent request please call us any time on (+61 8) 8563 0499.